Today was a wonderfully productive and easy day. We put many many plants in the ground and the beds are filling up! There are new full beds of holy basil (aka tulsi), astragalus, st. john’s wort, rosemary, thyme, hyssop, figwort (Scrophularia nodosa), and anise hyssop. We seeded a few California poppy in the center circle, as well as adding a few more hollyhock, a nice patch of jasmine-scented nicotiana, more lady’s mantle and violas and our little tribe of datura (aka jimson weed). 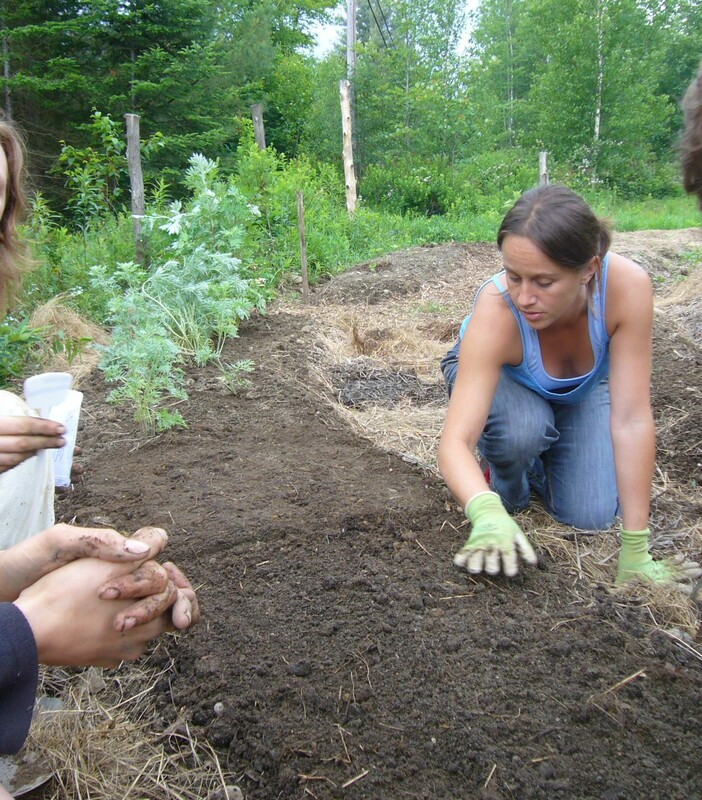 We put in a few more valerian, another blue vervain, and some strong, large wormwood and mugwort plants to begin our artemisia bed. We also seeded a number of artemisias, including sweet annie (A. annua, aka qing-hao), western mugwort (A. ludoviciana), redstem wormwood (A. scoparia, aka yin-chen), and sagebrush (A. tridentata). 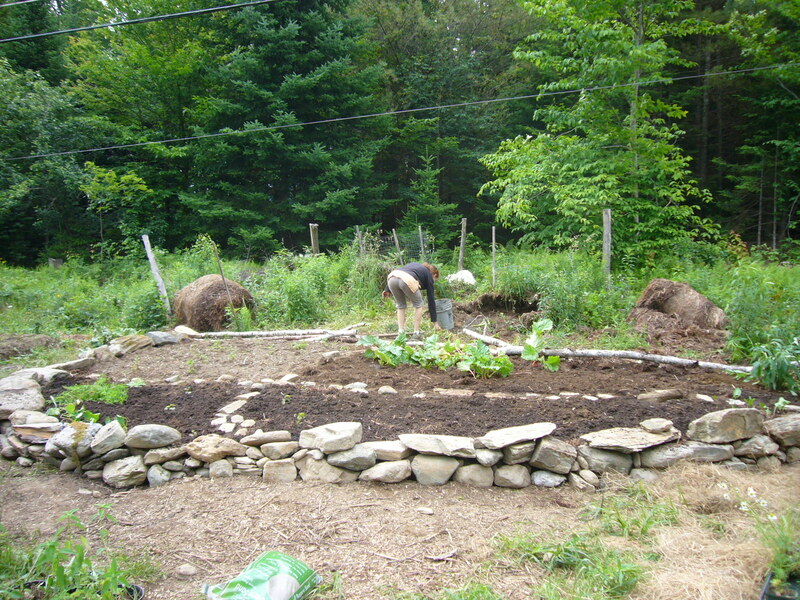 We finished the bed for comfrey and nettles, adding stones for pathways when we need to harvest, as well as rhubarb, cleavers and some horseradish that had volunteered elsewhere in the garden. We added hibiscus (the H. sabdariffa, whose calyxes we can make beautiful red tea from), which will be annual shrubs in the front of the bed of otherwise wild-children. 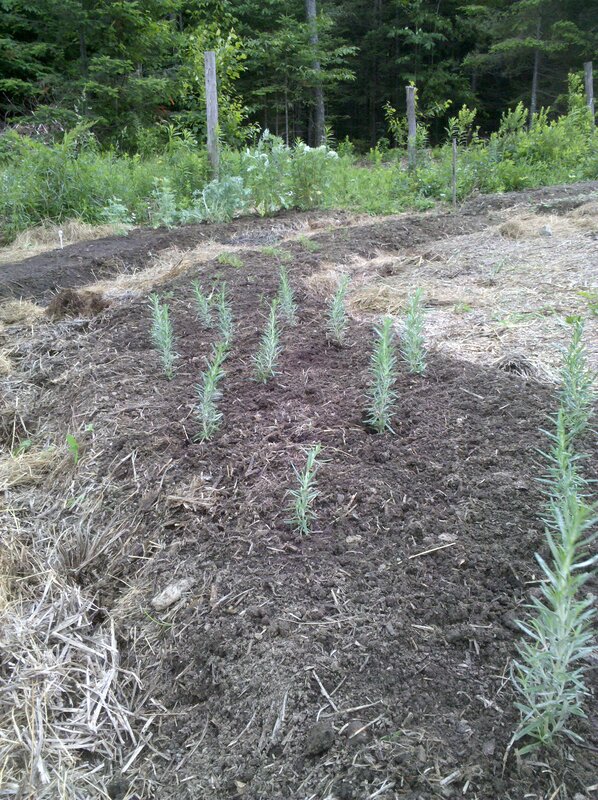 The cleavers would like some support and a bit of shading, which they’ll get as the nettles get larger. We seeded in some purple Papaver somniferum Zahir to add some color and other delight to our comfrey-nettle-rhubarb palace–hopefully the weather won’t get too hot for them to germinate. 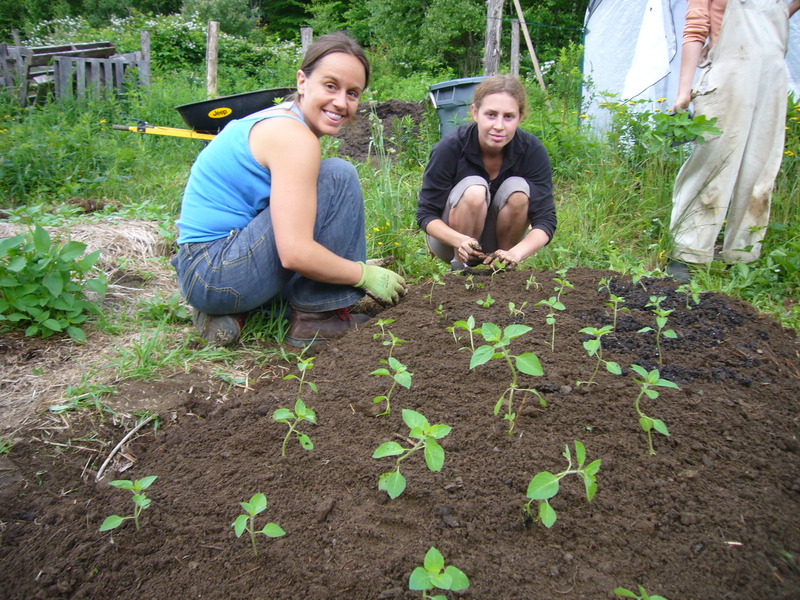 We still have space in that bed for others–perhaps some mints or our bee balm (Monarda) collection? We also checked in with the nature spirits to see if any dragons had chosen to come into our garden. According to our dowsing, we are now graced with a lovely dragon running east-west right through the edge of the circle and intersecting one of our serpents. We have a very healthy plantain plant which we squish and batter inadvertently every week (because it’s right in the path), who also happens to live on that intersection of serpent and dragon. No wonder the plantain bounces back so beautifully every week and is the largest in the garden! So, with our dragon in residence, we changed the layout so that our leafy, aromatic artemisias and our hot spicy mint-family plants would be in the area of the dragon. We moved all of our super-cooling roots over to the area where the two serpents cross. This seems like it will be a powerful alignment. 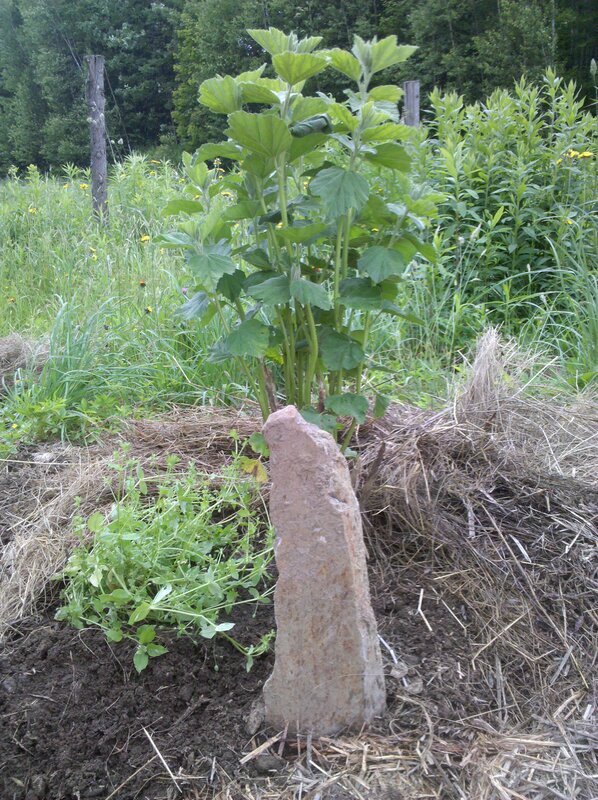 We put two of our juiciest plants right on the crossing point: marshmallow and chickweed. I think they look happy already! welcome Dragon and many blessings of potency, healing and balance on your good medicine! Thanks, Fearn! Dragon said it came from Habondia and connects us to that garden, too. Nice.